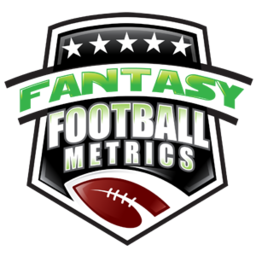 *I’m 15-15-2 ATS through Week 2, and 5-4-1 in the Blazing Five YTD. It does not scare me that it’s ‘at Seattle’…this is simply the fact that Seattle is awful, aside from Russell, but as you saw vs. the Bears – Russell can’t do much under pressure every play. The Dallas-D is equal to/better than the Bears, so we’ll see a re-do of MNF with Dallas this week. If Sean Lee (hamstring) is hindered, I don’t touch Dallas. As long as the Cardinals insist on playing Sam Bradford, you gotta bet against them. They literally cannot move the ball/make 1st-downs. They face a top-notch Bears defense on top of that, PLUS the public hates the Bears because they hate Trubisky (the public’s got him all figured out with their advanced scouting of things), so instead of this line being 9-10…it’s 6.0. Take advantage. The Computer smells a for-sure blow out coming but hesitates a moment to see if Leonard Fournette is good to go and a slight problem with the Jags losing LT Cam Robinson last week for the season. Not good. Jags should still pummel a weak Tennessee team. Hopefully, no let down after taking down the Patriots last week. Tampa Bay all the momentum with their 2-0 start. TB at home, hot as a pistol facing the disappointing 0-1-1 Steelers with all their ‘drama’. Last year, the Steelers were cracking apart (at 3-2) after the Jags smoked them at Pittsburgh and then they were headed to KC to face the media crowned champions, the undefeated Chiefs. Everyone thought the Steelers were cooked. The Steelers then beat KC at KC, and that set off a 9-game win streak. KC lost five of their next 6 starting with the Steelers ‘shock’ loss (at the time). I LOVE this game for Pittsburgh. The first thousand people that say that Matt Patricia knows Belichick and that he/the Lions will be extra fired up to win this game are wrong. Matt Patricia looks like a terrible coach and there is already unrest that the players do not like the new coach (and watching the on-field product is frightening) – I think the Lions players will find it secretly funny if Patricia is beat by 30+ by Belichick. I’m not saying the Lions will lay down, but I think Patricia will be on ‘15’ out of 10 about this all week and the players will be at ‘1-2’ at best, and when the game starts to get away…it will get away. The Computer likes, not loves, the points here. The Saints have looked so bad my gut doesn’t like it but taking the points + the Saints is not a bad way to play this. Points + Drew Brees is not a bad thing. Rookie QB, who isn’t very good, versus Mike Zimmer…not good for the rookie. Plus, the Bills are the worst team in football, battling Arizona for that honor. This is like the reverse of what happened to Denver last week…the Broncos should have been favored over Oakland, but by 6.0+ was too much. Now, the Ravens shouldn’t be -5+ over other decent teams either. Too many points. In the Anthony Lynn v. Sean McVay showdown, you go McVay every time. The Chargers claim to 2018 fame is – beat the Bills for a half and got outworked in the second half, but still won. Two teams with great QBs and weak defenses. It’s going to be a shootout. However, one QB can’t put up enough TDs…the other settles for a lot of FGs. I could see Mahomes winning this by 20+. GB has won games by 1 and 0 this season…they should be 0-2. They are always dangerous because of Rodgers, so I never bet against him, typically, but here the wise thing to do is go points + the home team…the real wise thing to do is not play it. I like the Browns here on two-fronts: (1) Their defense is a great matchup against Sam Darnold. (2) This is a showcase, home game – if the Browns can’t play out of their minds here, they never will. I fear the Browns for two reasons: (1) The Jets are sneaky good, if they didn’t start a rookie QB they’d be a fringe playoff contender. (2) The Browns always find a way to lose. This has all the feelings of a game where the lucky 2-0 team faces the 0-2 team that let a win getaway last week…and the undefeated gets the loss that they’re due and winless team gets off the schnied. This game started at -3.0 HOU and then quickly jumped to -6.0. The Texans should be favored, but it’s a lot of points to lay…the Texans haven’t been that explosive this year on offense or defense. Carolina is the better team but has several O-Line issues they are dealing with – and Cincy’s power is in the D-Line. Cincy without Joe Mixon or center Billy Price costs them a real shot at an upset of wounded Carolina. Too many variables and injuries on both sides to play this game with any confidence. I really thought the play here was Indy and the points, but the Colts still have O-Line injuries not improving and Marlon Mack may not be able to go. At Philly, coming off an embarrassing loss to Tampa with Carson Wentz returning – it should be enough to get the Eagles flying straight again.